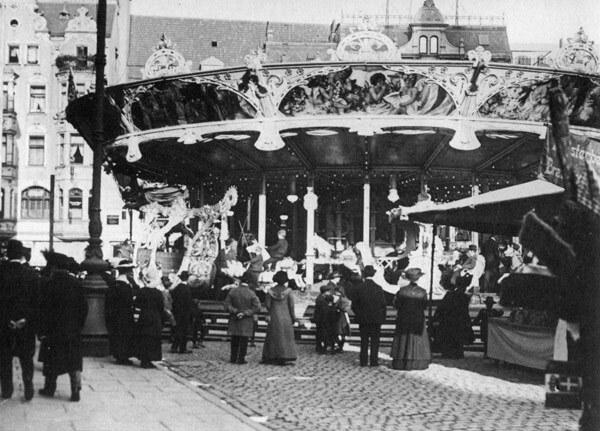 The “Freimarkt” – free market – is one of the oldest funfairs in Germany. Already in 888 King Arnulf had handed over a document to the archbishop of Bremen conferring on Bremen the prerogative of coinage, the market rights and the right to levy tolls. The foundation charter of the emperor Conrad II dating from the year 1025 is the confirmation of a recognized right in 966 to hold a market in Bremen. Even if in these documents from 888 and 966 no precise dates are mentioned for holding the market – this happens only later in the document of 1035 – it mentions exactly the 16th October 1035. The original document of 888 is kept in the archives at Stade: a photo of it with detailed explanations is kept in Bremen Cathedral Museum in the department of “History of the diocese of St. Rimbert”. Since that memorable autumn day, the city had the permission to hold the market twice a year on the churchyard “Our Lady”. 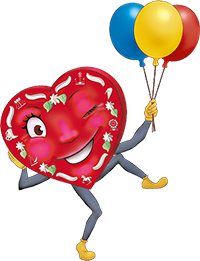 Without any restrictions and regardless of the local guilds, small traders and wayfarers could now sell their goods – this was a newfound economic independence, until today remembered in connection with its name “Freimarkt”. After 1035 every following emperor has regularly renewed this fair privilege. Francis II. was the last to give such permission to the Bremen merchants in 1793. 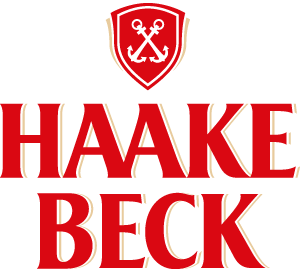 After that the hanseatic merchants decided on their own whether and on what date they wanted to hold market – and they continued this practically always. 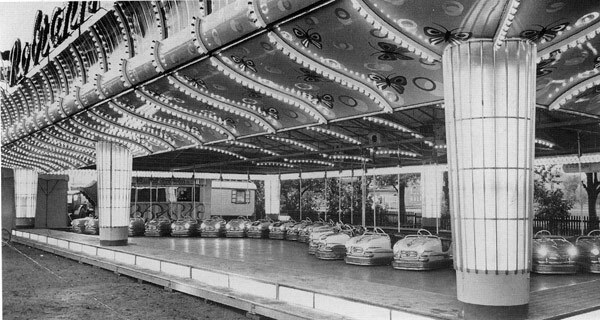 From free market to fun fair! At first mainly grocers and wayfarers offered their goods on the Freimarkt. Their business was most flourishing in autumn at harvest time when many of the farmers came into the city to make their purchases for the winter. The market bustle was exciting and colorful with the arrival of the travelling people. Travelling entertainers, minstrels, jugglers, fortune tellers, clowns and market criers offered a dazzling world of superlatives: the finest cloth, the finest spices, the coarsest obscenities – and of course the latest gossip from the world beyond the city and country’s frontiers was represented here. Here you could, for a few pennies, absorb the scent of adventure from the world. A lion in the far north? Already in 1445 the people in Bremen could admire one on the Bremen Marketplace. Since the 17th century an increasing number of exotic animals could be admired: domesticated bears, dromedaries and monkeys, up to the predator-menagerie of the entrepreneur Amigoni in 1810. From the 17th up to the 19th century exhibiting human beings in all their bizarreness became very popular: on the Freimarkt you could see “Hottentots” from Africa (1687), the “little Mademoiselle” of 68 cm (1799) who could even be ordered on request in a small box free house, “Buffalo Bill’s Wild West Company” (1890) and the whole body hairy “Lionel lion Man” (1938). 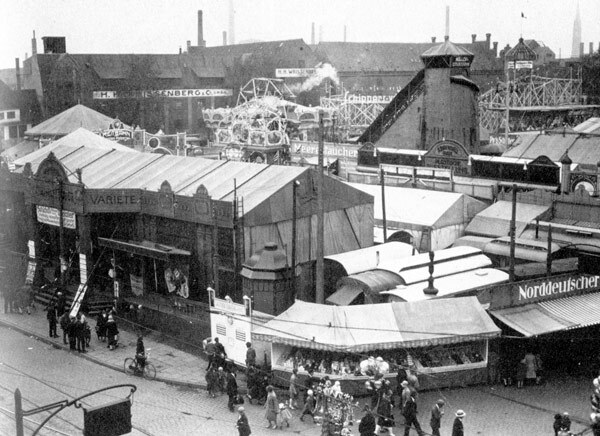 Despite all these showmen and travelling people the Freimarkt remained mainly a market of products for sale. 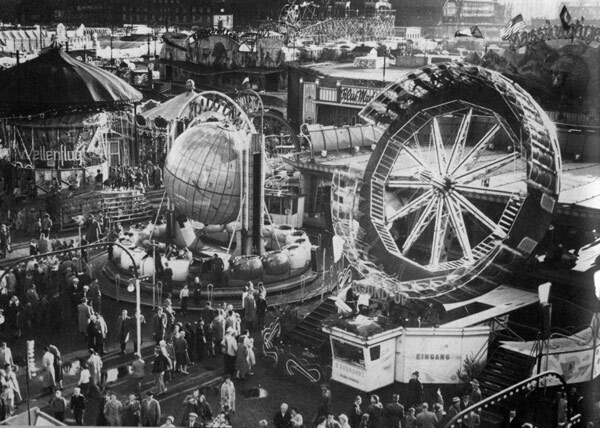 Only at the beginning of the last century, the image changed to what we now imagine under the word “funfair”: such as stalls, tents and rides created a festival of fun and enjoyment. 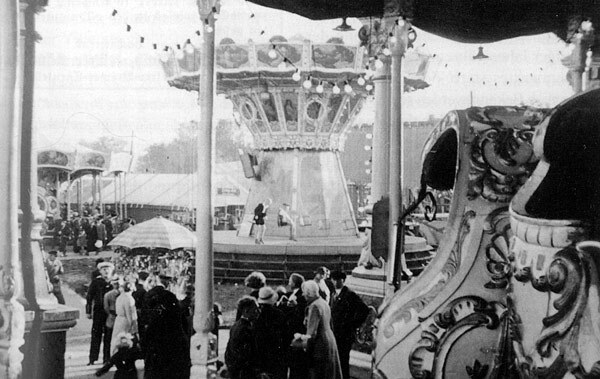 In 1809 the first showman appeared with a roundabout. The audience was enthusiastic about the wooden horses turning in a circle, driven by human power. hos1When after the first half of the 19th century the first railway lines were opened, the Bremer Freimarkt enjoyed a considerable uprise with continuous new attractions: 1847 inspired the “ring the bell” and especially since 1870 the workers and the organ-grinders were the life and soul of the party, since 1881 the swing boat rocked on the fairgrounds and since 1890 also the mountain and descent carousel was a center for young people to come together. 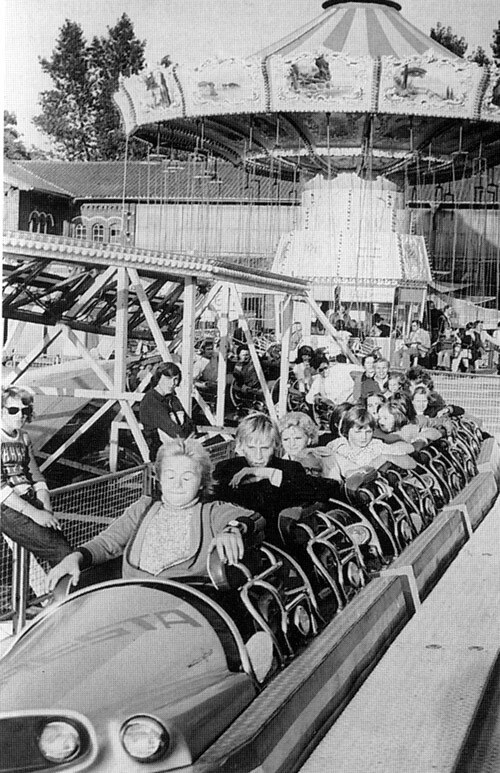 The fair got very popular among the young generation, because during the entire Freimarkt time till 1875 there were no afternoon classes in any school. The market area has grown more and more over the centuries and spread out to the Domshof, the Town Hall Square and the Domsheide – right up to the station square, the Rembertiviertel (1862) and the Hohenlohe Street (1898). 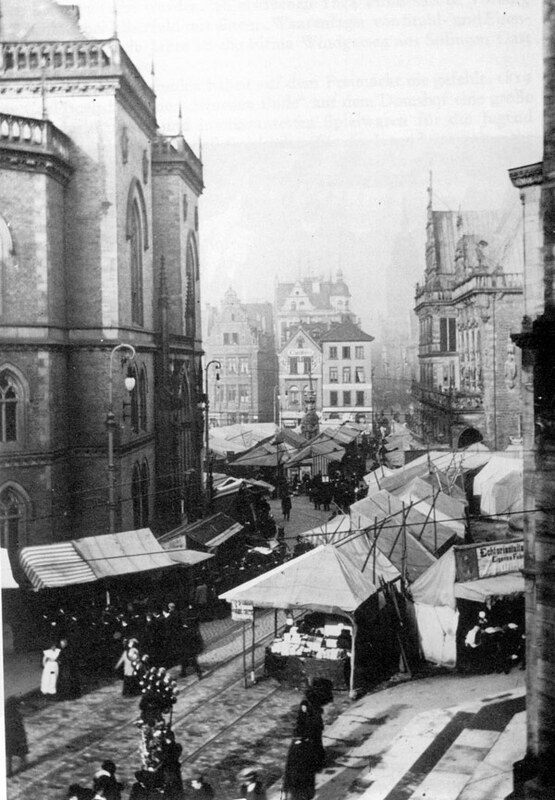 Due to the increase of buildings in the historic city center, the areas for the Freimarkt where continuously reduced, and the Freimarkt was moved over to the Teerhof and into the Neustadt (New Town) (1890). The Neustadt (Grünenkamp, Hohentor) became more and more the center of the Freimarkt. 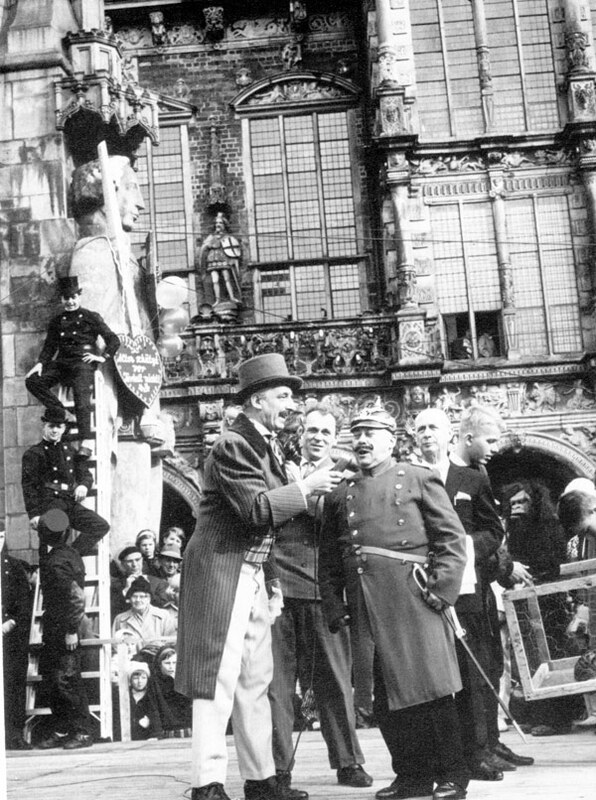 Until the year of 1933 the Freimarkt took place only in the Neustadt, and then in 1935 it moved over to the Bürgerweide. Since that time the Freimarkt takes place on a fairground right in the heart of the city, the Bürgerweide. 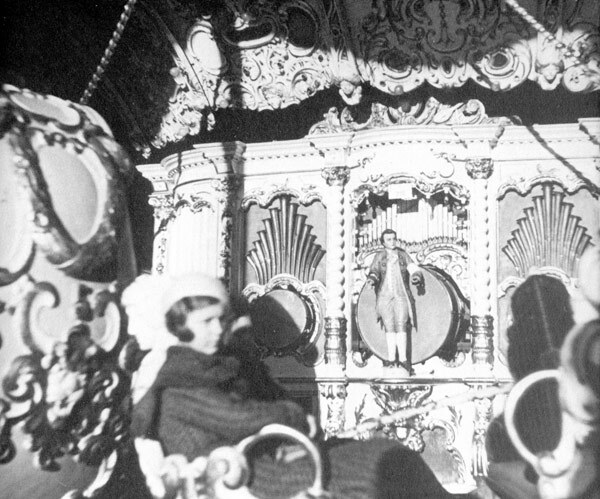 In the 19th century stalls with honey cake , and cotton candy became more popular. You can buy the famous Schmalzkuchen since 1847. 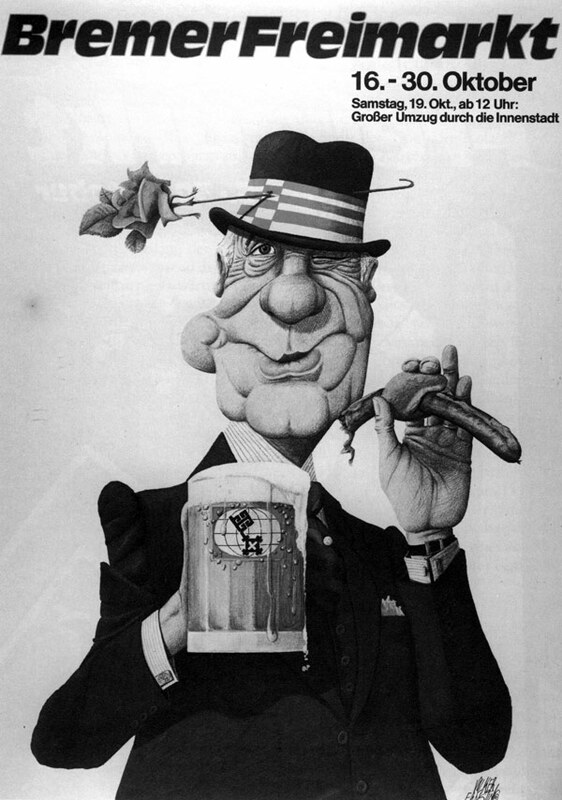 And another half century later, the fish stalls became popular with the smoked eel: 1906 the Bremer butcher William Keunecke roasted the first “Rostbratwurst” on an open fire. and only as a “little town of wooden Stalls” on the Domshof. 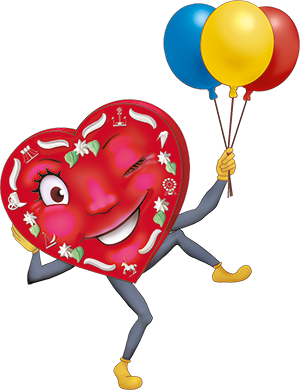 In 1948 the marketeers invited again people to join the first provisional festival of peace – the “Freimarkt”. Freimarkt today: larger , higher, more exciting!